There may well be more than one way to skin a cat but there are only two ways to build a hi-fi system: by far the most common is to mix and match components in the pursuit of a combination that allows each of its various parts to excel. Less common, more purist and definitely more challenging is the creation of a single brand system, one in which all the major elements come from a single designer or design team. The advantages of such an approach appear obvious yet in practice they often prove elusive. The problem is that few designers are universally gifted or even handed when it comes to the very different problems presented by the various components in a system. There’s no law that states that a designer of inspired amplifiers will be equally adept when it comes to creating a digital replay solution or loudspeaker, let alone cabling or mechanical supports. Of course, you can combine talented individuals (à la Constellation) but give them enough rope and pretty soon you are back to mixing disparate components that simply share common casework. 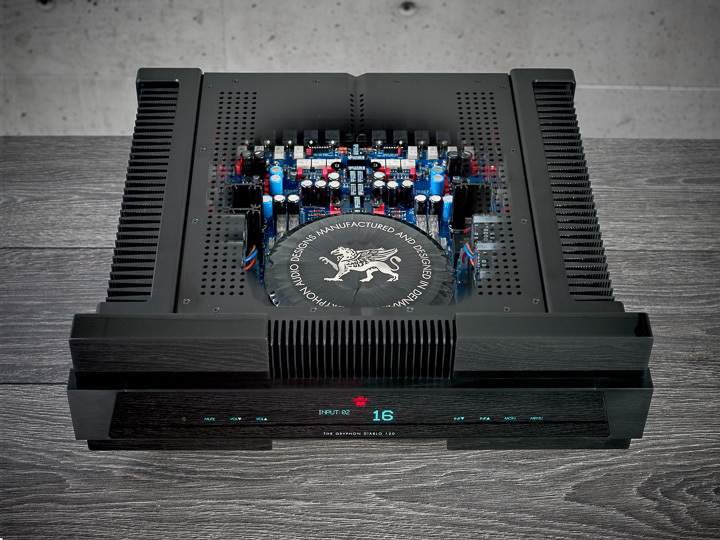 When it comes to sheer presence, you’ll do well to better Flemming Rasmussen of Gryphon Audio. His imposing height, impressive appearance and calm, quiet voice leave you in no doubt that he speaks that way because he doesn’t need to shout. More than almost any other brand in high-end audio, Gryphon has established an instantly recognisable identity and that identity is both defined by and an extension of Flemming’s thinking and personality: the way the products look, sound, and work – everything flows from Flemming. The result is a range that is coherent in thinking, sonic signature and performance – uncannily so. Over the years, if anybody has really exploited the benefits of the one-brand approach to system building then it’s Gryphon – and they’re still at it today. Despite a price tag that approaches £40K, what we have here is actually the company’s simplest and most affordable system, a three-box source-plus solution that embodies everything the brand stands for, from the striking aesthetics to performance that is both high-end and highly musical – as it darned well should be! But, in spite of the cost and the esoteric approach, long on all the high-end “must haves”, from minimalist facilities to fancy cables, this is pretty much as close to a fit and forget system as I’ve had in-house in a very, very long time.